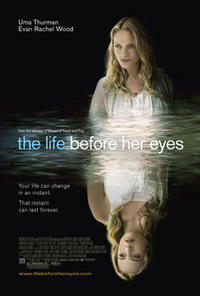 Evan Rachel Wood in "The Life Before Her Eyes." Uma Thurman and Brett Cullen in "The Life Before Her Eyes." Evan Rachel Wood and Eva Amurri in "The Life Before Her Eyes." Uma Thurman in "The Life Before Her Eyes." Eva Amurri and Evan Rachel Wood in "The Life Before Her Eyes." Uma Thurman and Gabrielle Brennan in "The Life Before Her Eyes." 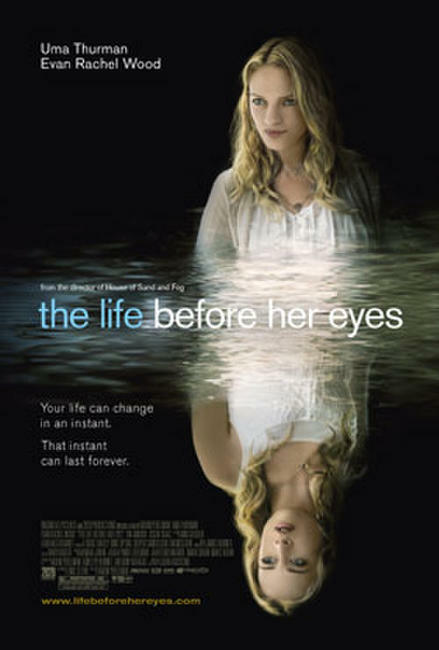 Poster art for "The Life Before Her Eyes."